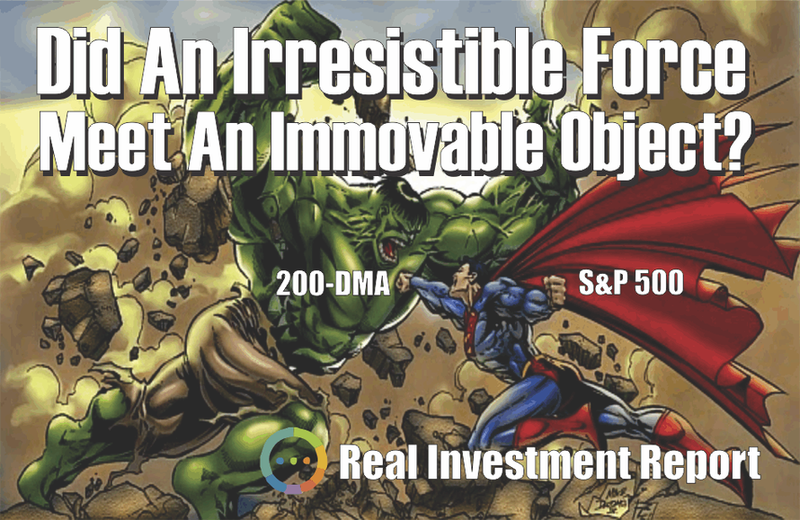 Market Misdirection – Did An Irresistible Force Meet An Immovable Object? 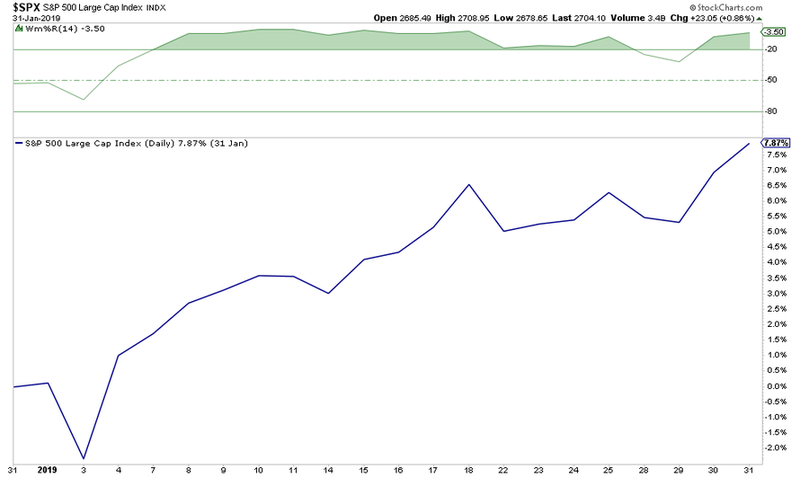 Since the day after Christmas, the markets have been in a surge very similar to what we saw in January of 2018. Of course, in February 2018, the rally ended. 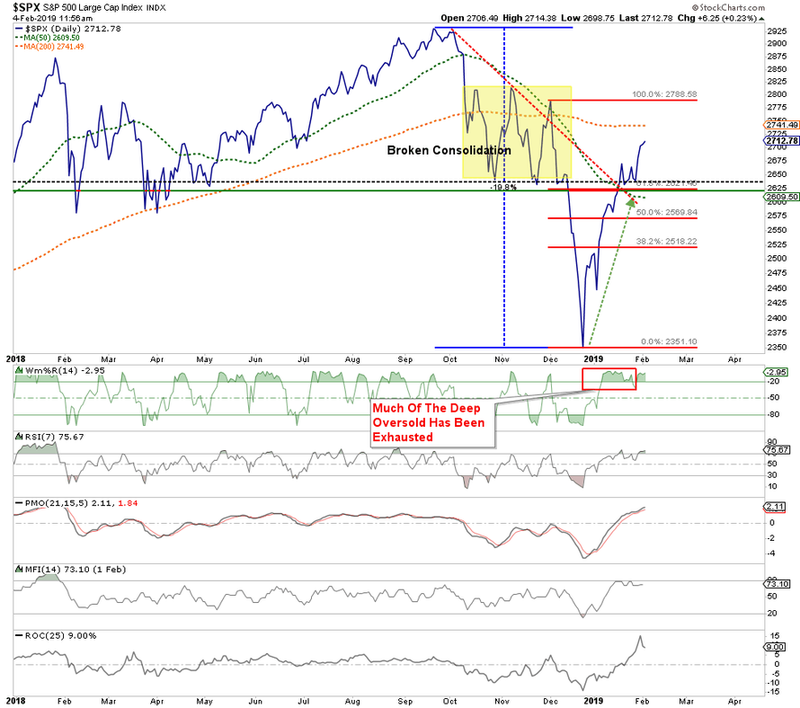 As we have discussed previously, price movements are very much confined by the “physics” of technicals. A couple of weeks ago, we drew out what we expected to be the movement over the market over the next couple of weeks. 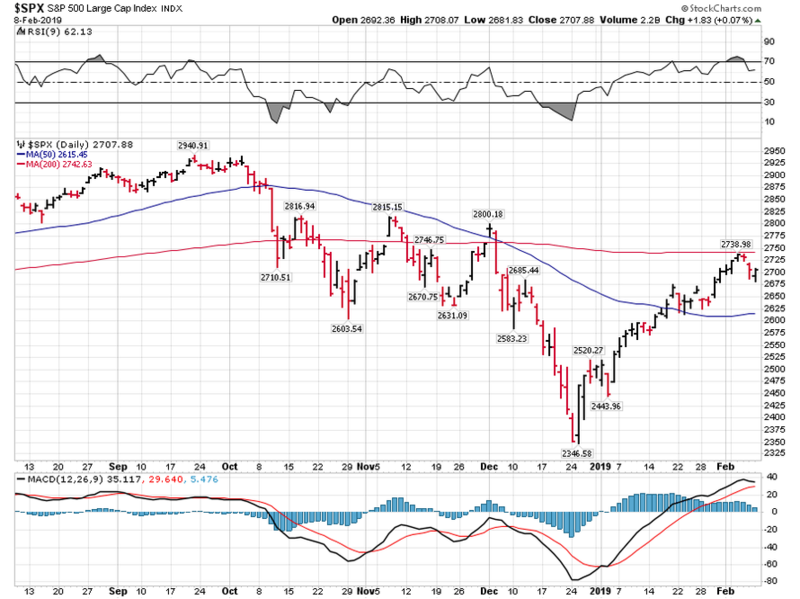 What will be critically important now is for the markets to retest and hold support at the Oct-Nov lows which will coincide with the 50-dma. A failure of that level will likely see a retest of the 2018 lows. A retest of those lows, by the way, is not an “outside chance.” It is actually a fairly high possibility. A look back at the 2015-2016 correction makes the case for that fairly clearly. But even if a retest of lows doesn’t happen, you should be aware that sharp market rallies are not uncommon, but almost always have a subsequent retracement. 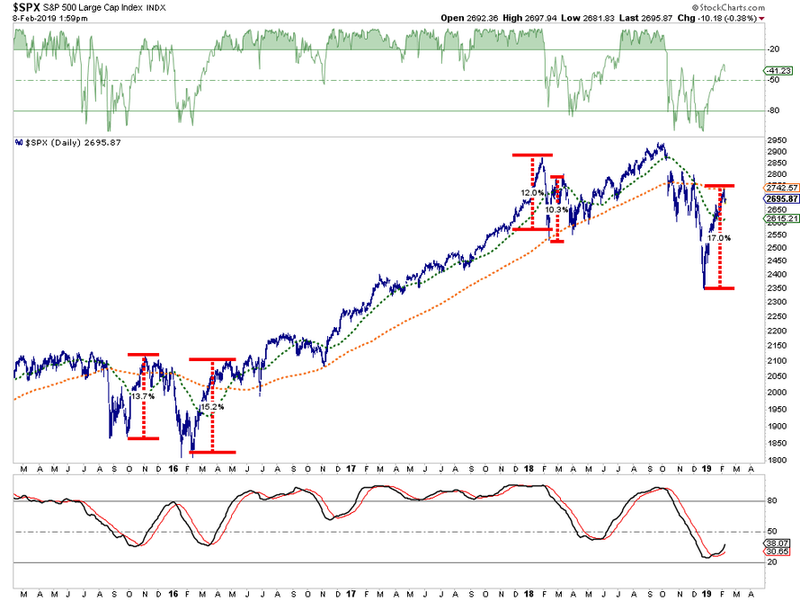 The point here is that the move off of the December lows is likely now complete, for now. 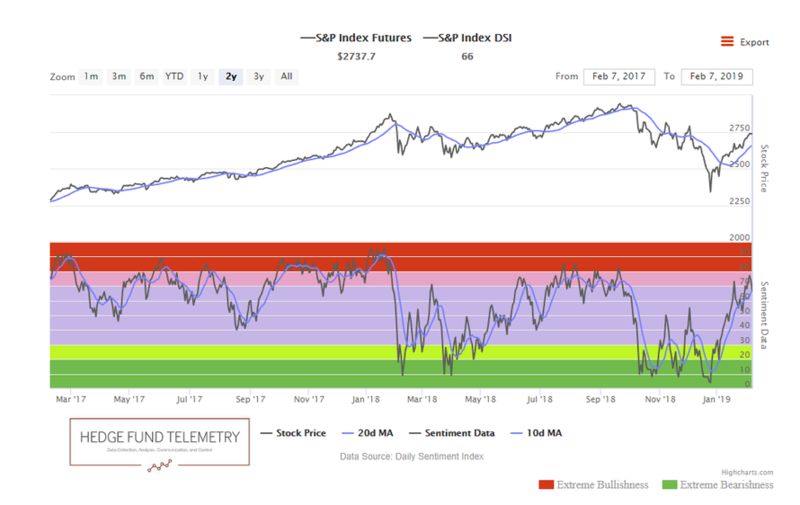 Thomas Thornton from Hedge Fund Telemetry had a great note out this past week on this point. 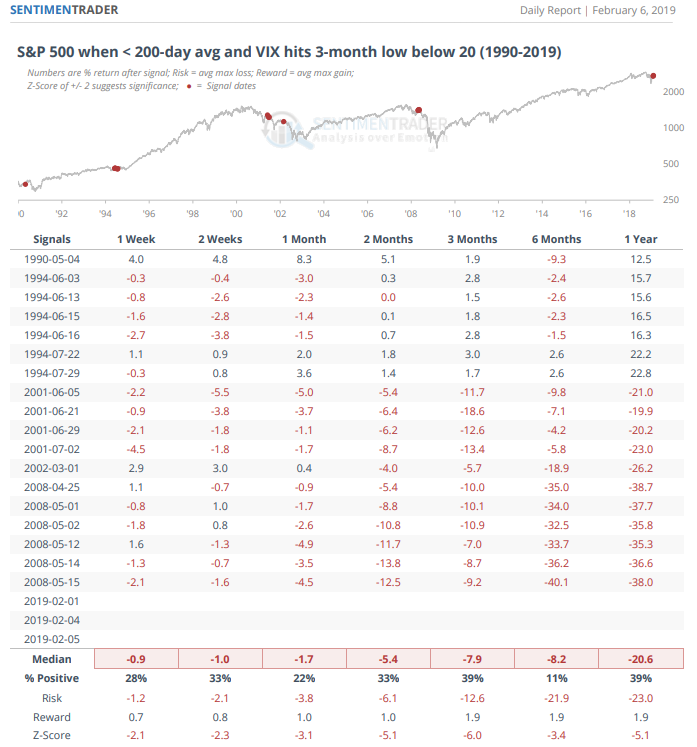 Sentimentrader also recently noted market performance when the VIX hits a 3 month low with the S&P under the 200 day. Performance is very negative going forward. “It is too early to suggest the “bear market of 2018” is officially over. 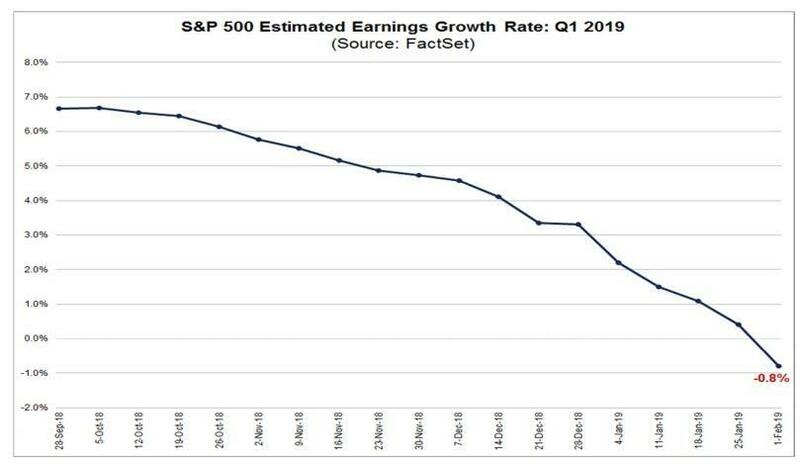 Earnings estimates for 2019 have sharply collapsed as I previously stated they would and still have more to go. In fact, as of now, the consensus estimates are suggesting the first year-over-year decline since 2016. Stock market targets for 2019 are way too high as well. Despite the Federal Reserve turning more dovish verbally, they DID NOT say they actually WOULD pause their rate hikes or stop reducing their balance sheet. Larry Kudlow said the U.S. and China are still VERY far apart on trade. Trump has postponed his meeting with President Xi which puts the market at risk of higher tariffs. There is a decent probability the U.S. Government winds up getting shut down again after next week over “border wall” funding. The effect of the tax cut legislation has disappeared as year-over-year comparisons are reverting back to normalized growth rates. Economic growth is slowing as previously stated. Chinese economic has weakened further since our previous note. European growth, already weak, will likely struggle as well. 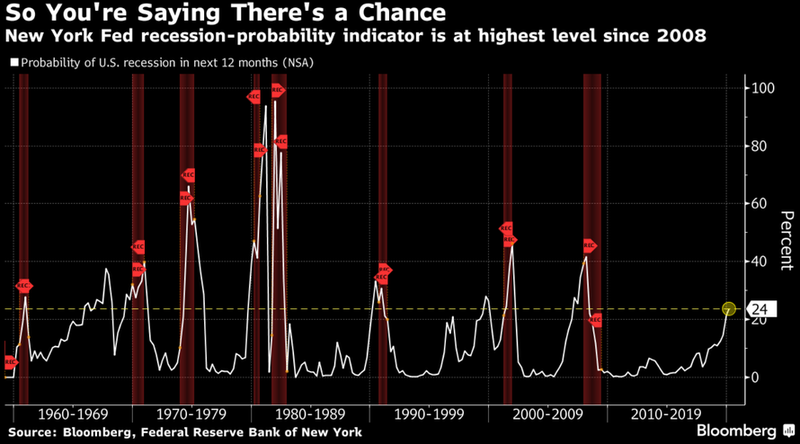 Despite recent comments that “recession risk” is non-existent, there are various indications which suggest that risk is much higher than currently appreciated. The New York Federal Reserve recession indicator is now at the highest level since 2008. Also, as noted by George Vrba recently, the unemployment rate may also be warning of a recession as well. 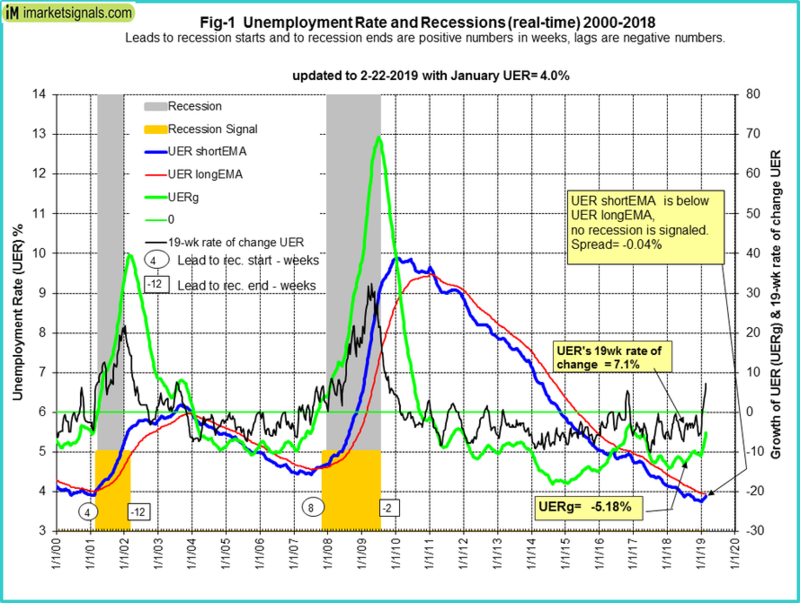 “For what is considered to be a lagging indicator of the economy, the unemployment rate provides surprisingly good signals for the beginning and end of recessions. This model, backtested to 1948, reliably provided recession signals. The point here is that ignoring the “risks” leaves you “exposed.” If you think its going to rain, you carry an umbrella. 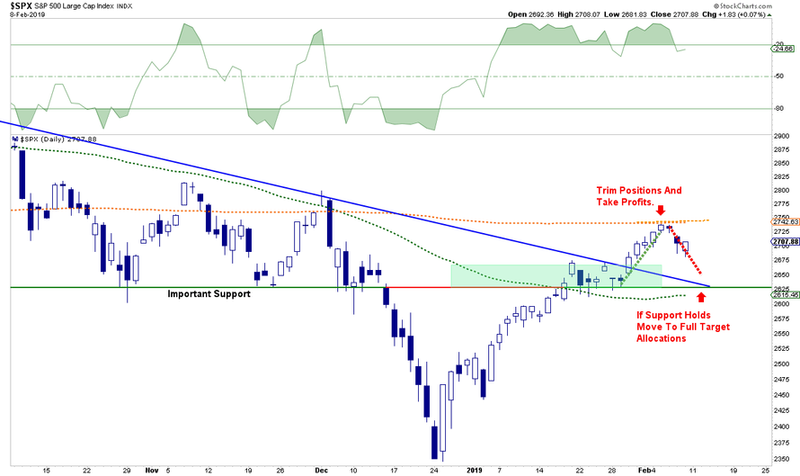 While the bulls clearly took charge of the market in late December, the question is whether or not they can maintain control. The weight of macro-evidence is going to weigh on the markets sooner than later which is why we are opting to hedge risk and hold on to higher levels of cash currently. 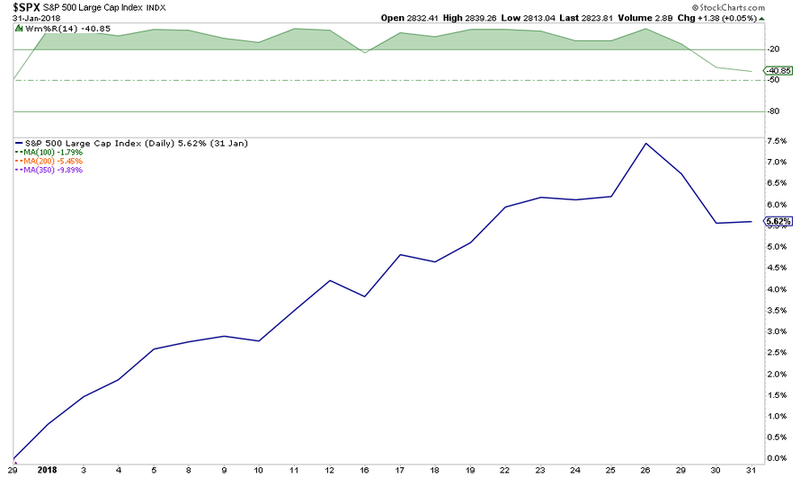 The rally we discussed on December 25th, has hit all of our targets, and then some. This entry was posted on Sunday, February 10th, 2019 at 10:20 am and is filed under Immediately available to public, Phil's Favorites. You can leave a response, or trackback from your own site.